80mm dia. ; long, tubular trumpet has an orange tint. 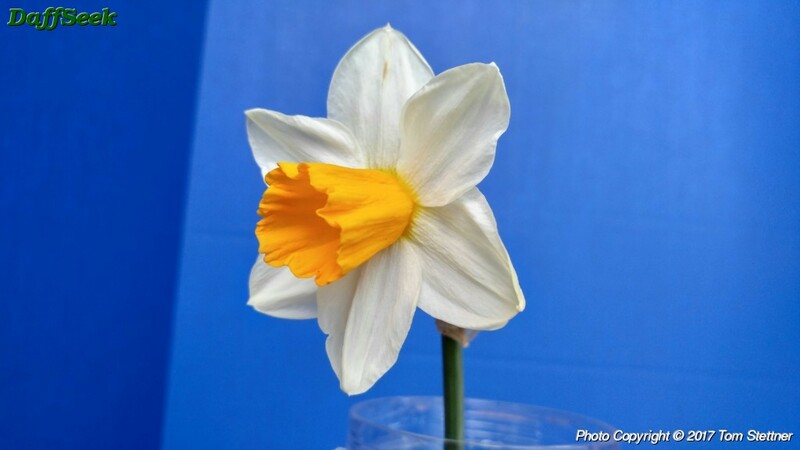 Named because ever since its first flowering, this daffodil has been described as being tinted.